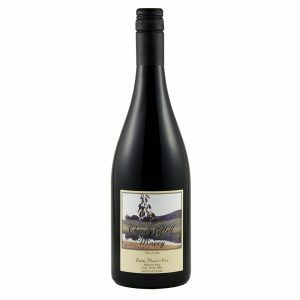 Cherry Hill lies in the heart of the Willamette Valley, an hour’s drive from Portland and 15 minutes from Oregon’s capital city, Salem. 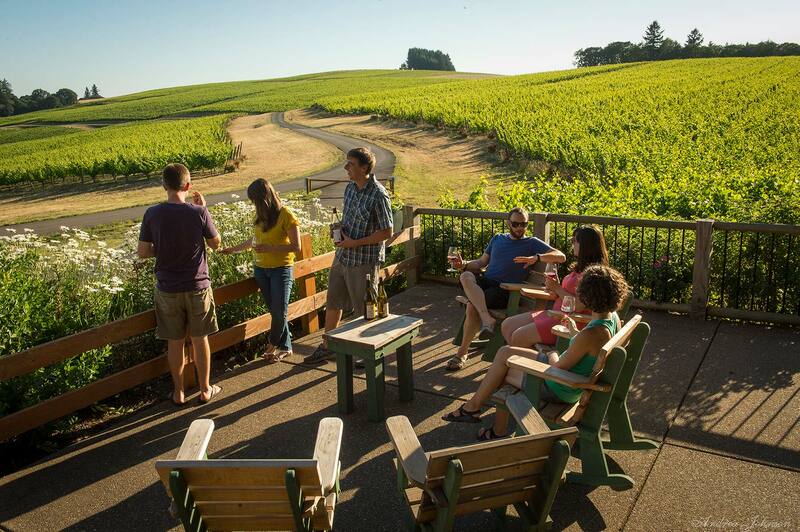 After your wine tasting, stroll through our vineyard or relax on the patio for a picnic while enjoying a glass of your favorite Cherry Hill wine. 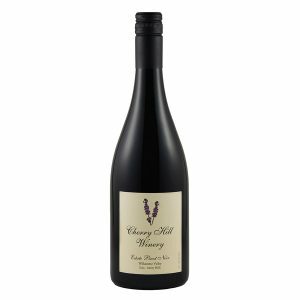 With views of our vineyards and the surrounding Eola Hills, a visit to Cherry Hill Winery is a wonderful way to spend an afternoon. We ask that large groups please call ahead to ensure we are able to accommodate you. Continue approximately 5 miles west on Highway 22 to Oak Grove Road. Turn right onto Oak Grove Road, and continue 3 miles north to the first stop sign. Turn right, and continue approximately .7 miles to Crowley Road. Turn left on Crowley Road and continue .9 miles to 7867 Crowley Road. Turn right at 7867 Crowley Road, and continue approximately 1 mile to the winery. Cherry Hill Winery signs mark the way from Highway 22. Take Interstate 5 north approximately 60 miles, and exit at the OR-22/OR-99E BUS exit towards DETROIT LAKE/STAYTON (exit #253). Continue .2 miles then turn on OR-22/OR 99-E BUS. Follow signs for Marion Street Bridge and coast. Take Highway 22 across the Willamette River toward West Salem. Stay in lanes marked ‘Oregon Coast & Beaches’. Continue approximately 5 miles west on Highway 22 to Oak Grove Road. Turn right onto Oak Grove road, and continue 3 miles north to the first stop sign. Turn right, and continue approximately .7 miles to Crowley Road. Turn left on Crowley Road and continue .9 miles to 7867 Crowley Road. Turn right, and continue approximately 1 mile to the winery. Signs will mark the way from highway 22. Leave South out of town on Highway 99. Towards the edge of town, take a left to stay on highway 99 (rather than heading straight towards the beach on Highway 18). Follow Highway 99 for 15.5 miles, through Amity and nearly to Rickreall. Turn left on Crowley Rd. (watch for the blue sign that says Cherry Hill Winery). 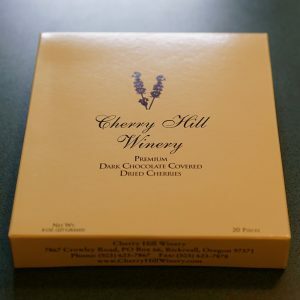 Follow Crowley Rd (dirt road) for 1.5 miles, and you will see the entrance to Cherry Hill Winery on your left.